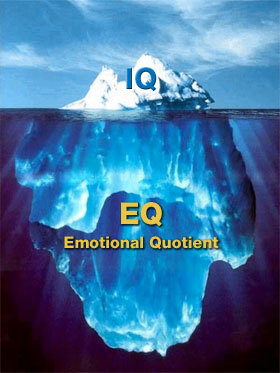 Research has shown that "EQ" (as it is often called) is a better predictor of success than "IQ". Emotional Intelligence is the ability to recognize and manage emotions (yours and others). The emotionally intelligent person exhibits such competencies as accurate self-assessment, self-control, empathy, and influence. The ability to accurately assess and develop these competencies will set your organization apart. "The ECI is the only instrument that incorporates the full depth of my research and that of my colleagues. 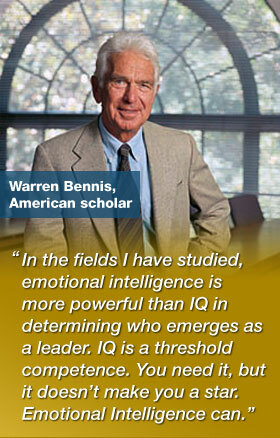 Other instruments use the words "Emotional Intelligence" but the ECI is the genuine article." The ECI is a 360° instrument that assesses 20 emotional competencies corresponding with the emotional intelligence model introduced in Daniel Goleman's Working With Emotional Intelligence. It accommodates an unlimited amount of raters (self, peers, bosses, employees) when it is administered via the internet. Written comments are also an option. The workforce audit is also very popular when it's important to have a group/team/organization composite. David McClelland identified that every competency has a “tipping point” of proficiency that separates high performers from others. For each key behavior, the tipping point provides an attainable development goal. Richard Boyatzis of Case Western Reserve University has demonstrated how to develop competencies with significant improvement sustained in three-year follow up evaluations. Daniel Goleman identified 20 emotional intelligence-based competencies that, together, account for 67% of the measured high performance across 181 job-specific competency models. each 20 page personalized feedback report includes easy-to-understand instructions for interpreting the feedback, an overview of the emotional competence model, validation of data quality in the feedback, a personal summary of emotional competence, and competency details. the individual ECI data rolls up to form a Workforce Audit for a team, department, or entire organization. The Workforce Audit includes a comprehensive organizational summary of emotional competence, including an overview of competency gaps for the group and recommended strategy for closing the gaps, and competency details.